THE SUFI'S aim in life is not to differ from any religion, nor to abuse any society. 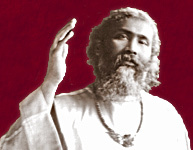 Whatever it be, Christianity, Buddhism, Judaism, Hinduism, or any other religion, whether it be the Theosophical Society, New Thought, or Christian Science, he does not see what weaknesses, what faults may be in them, but he sees the good in all; for every being in the world does what is best for him, if not, at least he thinks he is doing so. The Sufi's aim is the aim of the whole world: knowledge; but at the same time he wants to harmonize and to unite with others, not to seek differences. Thus his aim is to see not duality but unity, and this is in fact the aim of all religions; the only difference being that this aim has been declared either more or less plainly at different stages of the world's evolution. God exists as the inactive, perfect Consciousness, whose perfection lies in His self-sufficiency; He appears active in manifestation. There also the Sufi sees the unity of God. He keeps God always before his eyes. Any kindness he receives, from friends, from father or mother, he recognizes as having been received from God: God is working through the father and the mother or the friend. Any obligation, any gratitude he feels, he feels towards God. The friendship, the love that he feels for his parents, relations, friends, or beloved, he attributes to God. In the poems of the Sufi poets the curls of the beloved are often referred to. The poet sees God appearing as the beloved. He recognizes God appearing as the parent or the friend. With every breath he repeats the name of God, and therefore he thinks every breath so valuable that nothing in the world can equal it. One may say, 'Why repeat the same thought a million times? If there were some variation in thought it might be better!' But it is only by one thought, by the same thought, that a person can unite with his origin. The question may arise as to whether the Sufi aims at becoming a healer or clairvoyant, at communicating with spirits, at analyzing the world of phenomena, or whether he wishes to attach himself to any prophet or master; whether he seeks the presence of God or wishes to reach heaven, or whether he follows a certain religion. The answer is, he does not aim at any of these things. There are many who desire mystical knowledge so that they may become healers, so that they may heal themselves and their friends without presenting a doctor's bill, and may be cured without the help of a physician. These things may come to a Sufi on his path towards a higher aim. He may encounter them all upon his journey, but to remain among them would be just as if one intended to go to the station to meet a friend, but stopped on the way to talk to other acquaintances and so arrived at the station too late. Does the Sufi seek the presence of God? Does he depend upon the mediation of any prophet or master? To this also the answer is no. He does not seek the presence of God, because where there is a presence there is duality, and his aim is unity. In unity there can be no presence. He does not seek to attach himself to any master for ever. He has no wish to go to heaven, because he sees that heaven is everywhere. Once imagination has helped a man to bring the presence of God before him, God is awakened in his own heart. Then before he utters a word it is heard by God; when he is praying in a room, he is not alone: he is there with God. To him God is not in the highest heaven, but beside him, before him, in him; then heaven is on earth and earth is heaven; then no one is as living to him as God, as intelligible to him as God, and the names and forms before his consciousness are all covered by Him. Then every word of prayer he utters is a living word. It not only brings a blessing to him, but it brings blessings to all those around him. This kind of prayer is the only true way of praying, and by it the object that is to be fulfilled by prayer is accomplished. What then is his aim? He seeks to reach that experience in which there is no experience in the usual sense of the word. There are two tendencies: the tendency towards manifestation which has brought us to this world of variety, and the tendency towards inactivity which takes us back to the state from which we have come. Perfection is not in the unmanifested alone, nor in manifestation alone, but in the union of both. The soul upon its way towards manifestation has gathered around it on all the different planes the vibrations with which it has come in contact, from the finest vibrations to the grossest physical vibrations. But this also is the perfection of the Creator. We could not enjoy the higher if it were not for the lower; we could not enjoy the sweet if it were not for the bitter. If all were best, we would not enjoy the best. If there were only one color, we would not enjoy any color. I remember the words of a poet who says, 'Lord, let me not live in this world where camphor, cotton, and bone are all considered white!' The more colors there are, the more shades, the greater is our enjoyment. A thousand, a hundred thousand imperfections are created in order that one whole perfection may be made. It is just like an artist painting a picture. He has his colors and his brushes; he draws the figure; and either at the first stroke or at the tenth, the hundredth, or the thousandth he makes it right. The task of the Sufi is to remove covers. One's soul is so covered with different vibrations that it cannot see itself. The Sufi by his meditations, by his practices, first takes off the physical body, and observes what he can see without it. Then he rids himself of the astral plane, where man lives in his thoughts and feelings, and he sees what he is conscious of without that plane. The consciousness is like a curtain before which one stands with a small lantern. The reflection of the lantern is cast upon the curtain and it detaches or it limits a certain part of the curtain which receives the impressions. The Sufi strives for self-realization, and he arrives at this self-realization by means of his divine ideal, his God. By this he touches that truth which is the ultimate goal, and which is the yearning of every soul. It is not only realization; it is a happiness which words cannot explain. It is a peace, the peace which is yearned for by every soul. And how does he attain to it? By practicing the presence of God; by realizing the oneness of the whole being; by working every moment of the day, consciously or subconsciously, holding the truth before his vision in spite of the waves of illusion which arise continually, diverting his glance from the absolute truth. And no matter what any sect, cult, or creed may be called, as long as souls are striving towards that object, to a Sufi they are all Sufis. The attitude of the Sufi towards all the different religions is one of respect. His religion is the service of humanity, and his only object of attainment is the realization of truth.